Oneida Park, a 29,615-square foot retail center spanning both sides of Oneida Street between 22nd and 23rd avenues in Denver’s Park Hill neighborhood, will receive a $10 million redevelopment to transform the center into a walkable urban center. 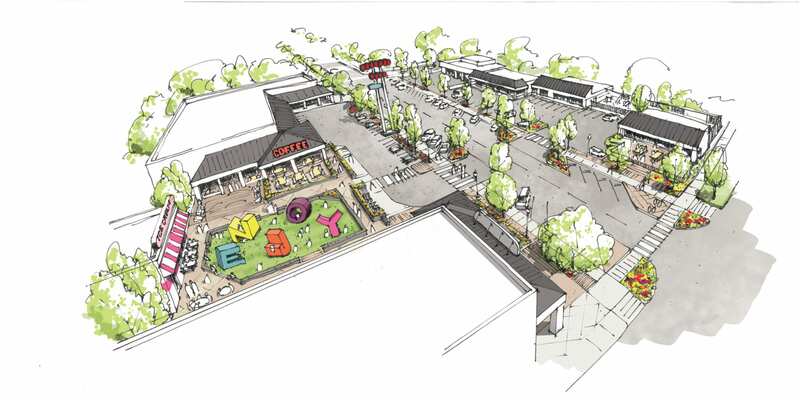 Redevelopment of a “sleepy” retail center is set to take shape this year and bring a walkable, neighborhood gathering place to the Park Hill community. Oneida Park, a 29,615-square foot retail center spanning both sides of Oneida Street between 22nd and 23rd avenues in Denver’s Park Hill neighborhood, will receive a $10 million redevelopment to transform the center into a walkable urban center – something currently lacking in one of Denver’s largest and most venerable residential areas – offering residents a variety of restaurant and retail options as well as an outdoor venue to host various events. “Park Hill is one of the great city neighborhoods in Denver’s urban core and continues to draw new residents to the area – yet it lacks the retail amenities that other neighborhoods offer,” said Todd Snyder, developer and a principal of the Oneida Park development. Snyder and Rick Firmine, local real estate investors, acquired Oneida Park – the first new ownership for the center in more than 30 years – earlier this year. 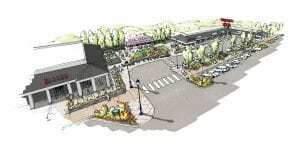 “Our hope for Oneida Park is to create a neighborhood gathering place for the Park Hill community and surrounding areas by offering affordable local restaurants, services and community events – a place residents can walk or ride their bike to with their family and friends to enjoy a great meal, to run a quick errand or to spend a few hours at an outdoor event. We hope the Park Hill community will support the local businesses and be proud of what Oneida Park represents to the Park Hill community,” Snyder added. The project will reimagine the seven-building, 1950s Oneida Park shopping center and feature a 7,000-sf outdoor courtyard and children’s play area flanked on three sides by local restaurants offering outdoor patios for patrons. The design aesthetic will embrace midcentury modern design elements dating back to when the center was built. The shared space, according to Oneida Park developers, will allow patrons to relax and enjoy a coffee, meal or cocktail while their children play within eyes-and-ears distance – a first-of-its-kind space in Denver. The courtyard also will host special events like farmers’ markets, musical and performing arts exhibits as well as seasonal attractions throughout the year. Esters Neighborhood Pub and a new, yet-to-be-named ice-cream concept by Little Man Ice Cream will anchor the Oneida Park courtyard. The ownership is seeking a coffee shop to round out the courtyard tenant list. “We created Esters to be a welcome member of the neighborhood that serves great food and craft beer to families and friends, and we couldn’t be more excited to become a part of the Oneida Park and the Park Hill community,” Paul Sullivan, owner of Esters Neighborhood Pub, said in a statement. Sullivan also owns and operates the first Esters’ location in Virginia Village. The Oneida Park location is set to open in 2018. Oneida Park has a current occupancy of 90 percent to tenants that include Park Hill Veterinary Medical Center, Oneida Liquors, Spicy Thai, Famous Philly Cheese Steak & Beer Garden, Desmond Bar & Grill, Allegra Pizza and Zen Dog Spa, most of which will remain. Snyder, also a broker with NAI Shames Makovsky, is marketing the project with NAI Shames Makovsky’s Emily Gray. Five spaces from 600 to 1,600 sf are available for lease. Demographics for Oneida Park, which also features ample on- and-off-street parking, include an average household income of $102,396 within 1 mile and a population of 160,220 within 3 miles. The developers are working with Dig Studio, a local landscape architecture firm, for the courtyard and Ware Malcomb for civil engineering. Additionally, to add to the community-oriented design, students from the Denver School of the Arts will paint a mural on the north exterior wall of the 23rd Avenue-facing building and will host performances in the courtyard throughout the year. The developers are currently in the permitting process for the project, which is targeted for an early 2018 completion. Jennifer Hayes has been an editor with the CREJ since 2000. Jennifer covers multifamily and retail news in the Denver metro area plus all property types in Colorado Springs and Southern Colorado. She also covers the finance market as well as solicits bylines articles and is editor of the Health Care Properties Quarterly. Before joining the Colorado Real Estate Journal, Jennifer served as the assistant sports information director at Texas A&M-Commerce. She earned her bachelor's degree in broadcast journalism from the University of Colorado and a master's degree in education from A&M-Commerce. Jennifer enjoys spending time with her husband and son, learning the ways of being a hockey mom, sports, reading and baking.